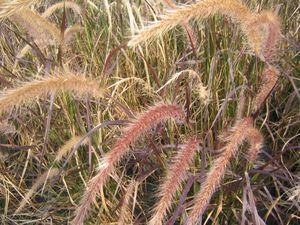 Purple Fountain grass is a native of Africa, SW Asia, and Arabia. Used as an annual in most applications. Will possibly perennialize in zones 9-10 only. It's bold coloring makes it an excellent choice for any annual landscape project.